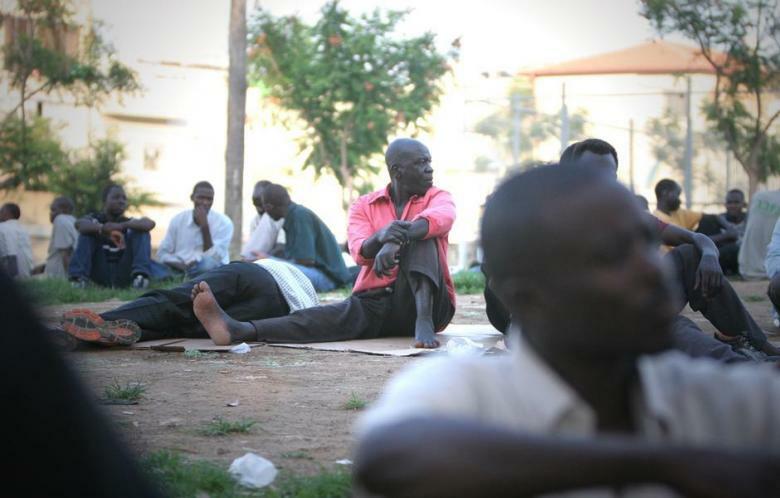 Israel has secretly repatriated more than 1,000 Sudanese immigrants, according to a Haaretz report. Israel has secretly repatriated more than 1,000 Sudanese immigrants over the past several months in violation of a UN charter on refugees, Haaretz reported Tuesday. The refugees were likely to face persecution upon their return to Sudan, which has issued stern warning to its citizens against visiting Israel, the newspaper said, citing official sources. Israeli officials said the immigrants, who were in detention prior to their expulsion, had voluntarily agreed to be deported. But the UN High Commissioner on Refugees rejected that claim, saying that there is no “free will from inside a prison,” according to the Haaretz report. He was referring to the 1951 Refugee Convention which prohibits the repatriation of refugees to a country where they could face persecution. The principle of non-refoulement is so fundamental that no reservations or derogations may be made to it. It provides that no one shall expel or return (“refouler”) a refugee against his or her will, in any manner whatsoever, to a territory where he or she fears threats to life or freedom. Tensions between the two countries escalated last October after Israeli jets bombed a factory near Sudan’s capital Khartoum, killing two. Israel’s interior minister had previously threatened to deport undocumented Sudanese following a wave of arrests of African immigrants last June. "Infiltrators from Sudan have until October 15 to leave Israel, after which … they will be placed in detention," Minister Eli Yishai said in a statement last August. He added that Prime Minister Benjamin Netanyahu had approved the expulsions. Palestinian premier in Gaza Ismail Haneyya has lashed out at the Zio-American campaign against Turkish premier Recep Tayyip Erdogan. Haneyya said in a statement on Friday that Erdogan’s statements were true and correct and unveiled the falsity of the Zionist movement. 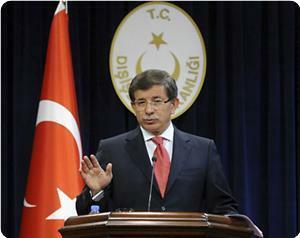 He said that the statements reflected Erdogan’s stable position and his country’s commitment to the Palestine cause. The Israeli government and the White House had criticized Erdogan for his statement on Wednesday that "Just like Zionism, anti-Semitism, and fascism, it becomes unavoidable that Islamophobia must be regarded as a crime against humanity". Israeli leaders have been infuriated by the fleeting remarks made by Turkish Prime Minister Recep Tayyip Erdogan at the opening session of the Fifth UN Alliance of Civilizations held in Vienna last week. "Just like Zionism, anti-Semitism, and fascism, it becomes unavoidable that Islamophobia must be regarded as a crime against humanity," Erdogan said. To the people who are familiar with Israel, especially Palestinians, Lebanese and other Arabs who have been on the receiving end of Zionist criminality; Erdogan's remarks are a statement of the obvious. After all, Zionism is about the dispossession and usurpation of Palestine from its rightful native people, the Palestinians. It is the biggest act of theft and falsification since Adam and Eve. It was a crime against humanity then, it will always be a crime against humanity, no matter how many Congressmen and women praise the Jewish Golem. In all honesty, I can't find an iota of untruth in Erdogan's words. What else can be said about those gangs of Zionist Jews who came from Eastern Europe to arrogate, by way of terror and violence, a land that never belonged to them? These criminal invaders didn't come to Palestine in order to live and let live. They rather came to Palestine in order to slaughter the indigenous Arabs, Christians and Muslims alike, and dispossess them of their homes and lands in order to establish a racist Jewish state free of non-Jews. They wanted and still want to do to the Palestinians what the White man did to native Americans in the Americas and Australia. The white colonialists annihilated millions of native Americans and called the genocide "manifest destiny." Likewise, the Zionist murdered untold numbers of Palestinians, massacred Arab villagers at will and drove the bulk of our people to the four winds, and then had the audacity to call the genocidal ethnic cleansing "war of liberation." Indeed, the Zionists and much of the Western world don't even hesitate to commit an act of fornication with truth and history by calling their victims "terrorists." Even today, 65 years after Israel's misbegotten birth, its leaders are shamelessly demanding that the victims recognize Israel as a Jewish state, where non-Jews, including native Palestinians, have no right to live except as wood hewers and water carriers. In truth, there are a thousand observations justifying Erdogan's remarks. In the final analysis, Zionism is too nefarious and too ugly to be described in words. It is a movement that combines ethnic cleansing, genocide, racism, mendacity, barbarianism and fanaticism. In fact, it is extremely hard to find a similar movement in the history of mankind that would parallel Zionism in its brutal ugliness and nefariousness, both at the theoretical and practical levels. Today, in 2013, we continue to be affronted with Jewish Zionist leaders who continue to argue amongst themselves if non-Jews are genuine human beings. The most prevailing opinion within Orthodox Judaism is that non-Jews, that are more than 7,090.000.000, are actually sub-humans or actually animals in human shape. This is not merely an anecdotal remark. There are millions of Jews around the world who are fully convinced of the veracity and correctness of this belief. Two years ago, Ovadia Yosef, one of the most respected rabbis in Israel told a Sabbath homily in West Jerusalem that non-Jews were very much like donkeys whom the Almighty created in order to serve Jews. Yosef is not a marginal or satirical figure in Israel. He was Israel's Chief Rabbi and he now has hundreds of thousands of loyal followers. Unfortunately, his manifestly racist remarks raised no eye-brows in Israel, neither among politicians, nor intellectuals, not even amongst the media, which is very telling, indeed. It would still be somewhat innocuous if Zionist criminality and racism were confined to the theoretical sphere. But Zionism, especially religious Zionism, which views non-Jews as animals or infra-human beings, also believes that the life of a goy, a non-Jew, has no sanctity and can be expended without any compunction. This is what prompts Jewish interrogators and prison wardens to torture innocent Palestinians to death, as happened with Arafat Jaradat last week. Today, innocent Palestinians are routinely murdered in cold blood at the hands of Gestapo-like Zionist Jews, and when the murderers are apprehended and prosecuted, every conceivable legal trick is used to exonerate them. Even when the indicting evidence is overwhelming, all sorts of extenuating circumstances are concocted in order to acquit the killers. In 1953, Zionist Jews murdered my three uncles in one incident near the armistice line west of Hebron. Moreover, they seized our property, livestock and everything else, condemning us to 30 years of abject poverty. Until this very moment, my family is yet to receive a simple Mea Culpa let alone any compensation from Israel for this crime. Compare this to rabid Zionist efforts to squeeze Europe to the last penny for stolen Jewish property and other grievances.!! John Kerry has been dismayed by Erdogan's remarks. But I want to ask the honorable Secretary of State "what do you know about Zionism?" Would you forgive Zionism if it did to you even a small fraction of what it has been doing to us since 1948? I know it is difficult for you and your boss, Obama, to be honest and spell out your conscience regarding Israel. But forget you are Secretary of State for a moment and try doing some soul-searching as a moral human being. I have no doubt whatsoever that you will find yourself face to face with the ugliest and most evil entity under the sun. Yes, the Jewish stranglehold over American politics and policies will silence your conscience and the conscience of your boss. This is exactly what happened to most of your predecessors since time immemorial, which explains America's shameless and unrestricted backing of the most Nazi-like state since Adolph Hitler's Germany. Today, Israel adopts the policy of lebensraum that Germany practiced at the expense of her European neighbors. True, Israel calls the policy settlement expansion but the substance is the same. 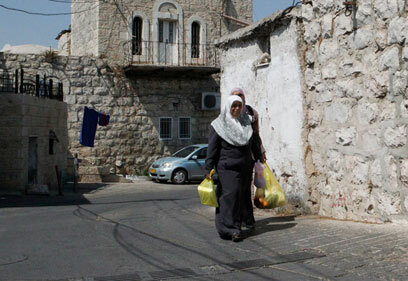 Israel, like Nazi Germany, is carrying out an aggressive policy of ethnic cleansing in Jerusalem and the rest of the West Bank by banishing Palestinians from their homes in order to settle Jews in their places. And you are watching passively while reiterating the same platitudinous jargon that you have been babbling for many decades. Remember, Mr. Kerry, the holocaust didn't really start with Auschwitz or Treblinka or Bergen Belsen. It started much earlier in the early and mid-1930s when the Nazi authorities were indulging in the same harsh discriminatory and repressive practices that Israeli Jews are now practicing against the Palestinians, with government approval and encouragement. I don't expect you or your government to take Israel to task over its manifestly criminal behavior toward the Palestinians. After all, you are Israel's protector and guardian. You are part of the problem, and you can't be part of the solution. But at the very least, don't expect the victims to suppress their feelings by pretending that Israel is actually a charitable entity that has gone astray. No, Mr. Secretary of State. Israel was evil from the very inception. At least for the Muslims and many Christians of this world as well as millions of other honest people, Israel is and will always be evil. As for Erdogan, we must salute him for his honesty and rectitude. 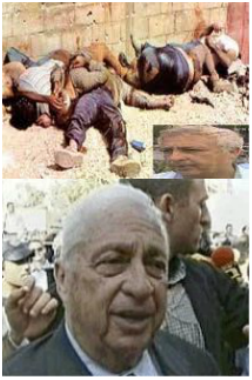 Israel's former Prime Minister Ariel Sharon, who suffered a huge stroke seven years ago that has since left him in a vegetative state, has shown signs of significant brain activity say doctors treating the 84 year-old. Mr Sharon - Israel's leader between 2001 and 2006 -is unlikely that he will wake from the coma he has been in since suffering the stroke, say doctors, but that the results of a medical examination last Thursday were "encouraging". Mr Sharon "might be awake, and there is a chance that he is conscious," Alon Friedman, a neurological director at Israel's Soroka Medical Centre in Beersheba told Reuters. "To some extent the patient is what we call 'locked in', he understands and responds with his brain but cannot activate any muscles." Mr Sharon's career was marked by controversy. As a candidate before the 2001 general election, he visited the Temple Mount in Jerusalem's Old City, the world's holiest place for Jews, and the site of the Dome of the Rock and the al-Aqsa Mosque. Some observers argue that the visited sparked the Second Intifada, but defenders of Mr Sharon say the Palestinian uprising had already been planned. A career soldier who reached the rank of Major-General in the Israeli Defence Force, in 2003 he withdrew from the Gaza Strip, a move that was welcomed by both the Palestinian Authority and Israel's left. However, a year after leaving Likud and forming a new centrist party, Kadima, he was struck in January 2006 by the stroke that has since left him needing constant medical care. Dr Friedman said that the former prime minister's eyes were open for some of last week's assessment, and that he responded to the sight of family photographs. "The results of the tests are not clear but encouraging, and they surprised us," he added. This paper is written in response to recent legislation introduced in several states. One example is a bill being introduced in Colorado, SB 13-176,  ("Authorization for the State Treasurer to invest State moneys in debt obligations backed by the full faith and credit of the State of Israel"). Taxpayers need to know the inherent risk of investing in foreign currencies and the long-term sinking value of Israel's currencies, which do not seem to be well known and purposely difficult to obtain, but which are historical facts. Such records are blacked out and unavailable from Israel's Central Bank, which only provides the latest year's data. The Federal Reserve Bank of New York does not offer any historic quotes on the Shekel, though it covers most major currencies. 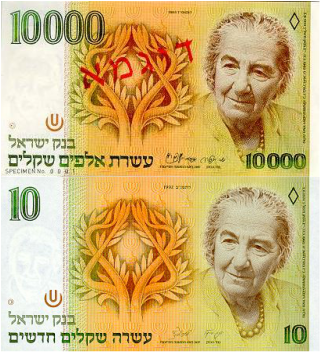 In 1986, Israel replaced the old Israeli Shekel with the New Israelis Shekel (NIS) at a ratio of 1,000 to 1. All Colorado permitted investments are dollar delineated for very good reason (see 24-36-113. Investment of state moneys -- limitations). To buy Israel-issued bonds the State of Colorado must effectively convert its dollars to Shekels; Israel does not and cannot sell dollar bonds. The present Colorado statutes do not authorize a single investment repayable in a foreign currency, and the US Constitution does not allow any State to use another currency except the US Dollar. Foreign-currency- denominated instruments are open to currency fluctuation and devaluation risk. Interest and principal payments on Israeli bond investment is then paid in Shekels, which must be converted back to dollars before the State can pay bills. Therefore, it is clear that if the value of the Shekel declines, as it has done most of Israel's history, the State would have fewer dollars to spend. Foreign currencies are inherently dangerous because devaluation is a political decision. To illustrate, some Coloradans have lost money in Mexican Bank Peso accounts that pay, or used to pay, high interest rates, but have devalued several times, drastically diluting both principal and interest. There is no guaranty against devaluations because it is done in the dark of night by political edict, which is necessarily a secret. The "Full Faith and Credit of Israel" means only that the State of Colorado will get back the same number of Shekels that it invested, but there is no telling how many dollars those Shekels will convert back into. In the past it has usually been less than the amount invested. To illustrate the impact of devaluation, be it a creeping one or sudden, let us look at Venezuela, which devalued its BolÃ­var by 32% in February 2013. Procter & Gamble Company, which does business there, immediately announced to shareholders a currency-exchange loss of between $200 million and $275 million. Every American holder of Venezuela bonds has also lost about one-third of their capital. Keep in mind, Venezuela is not a third-world State; it is a major oil producer and trading partner with the USA, but this did not stop it from devaluing. Conclusion: The future for Shekel bonds can not be known by this writer, nor by the Treasurer of Colorado. Past statutes seem to take for granted that State of Colorado Treasurer has no business taking a currency-speculation risk with taxpayer money. Devaluation risk is all the reason that is needed to trash SB 13-176. The legislature should not invite the Treasurer to take unusual risks with State funds by approving investment in any foreign currency, especially not one with a history of multiple devaluations. Additional possible risk of USA disinvestment: While not necessary to the argument of excess risk of Shekel investment, it is noteworthy that there are growing political, religious, and humanitarian movements afoot to compel the US Congress to curtail aid for Israel's military establishment. If the US Government were to discontinue military aid to Israel, as it is being increasingly pressured to do, it can be reasonably expected that Israel would have no choice but massive devaluation in order to pay for its military establishment, the largest and most expensive in the Middle East. The likelihood of this happening cannot be calculated, but the Legislature should be aware of it. Past Shekel weakness is largely attributed to Israel's disproportionately large military budget. The cost of "the 1967 War" and other wars appears to have forced Israel to abandon the I-Pound as its currency. I call the legislature's attention to one such movement that could have sudden and dramatic negative impact on Israel's monetary policy. "We have also witnessed widespread Israeli human rights violations committed against Palestinians, including killing of civilians, home demolitions and forced displacement, and restrictions on Palestinian movement, among others. We recognize that each party--Israeli and Palestinian--bears responsibilities for its actions and we therefore continue to stand against all violence regardless of its source. Our stand against violence is complemented by our commitment to the rights of all Israelis, as well as all Palestinians, to live in peace and security." From London Financial Times, Feb 21, 2013: "loose monetary policy adopted by major central banks around the world could spill over into a series of competitive devaluations." According to Israeli media claims; these people are part of a "unique" Jewish community, originated from the late nineteenth century when a group of Jews migrated from the Maghreb, and settled in this town, located in the jungles of the Amazon basin, where they worked in rubber trade - as alleged by the Hebrew source. It said that decades ago members of this community have contacted Jewish religious organizations, which worked hard to bring them to the occupied territories. The first group of them arrived in the nineties, followed by another group. 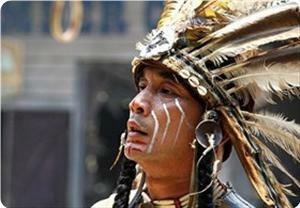 Then, 12 years ago, another group of 250 American Indians, arrived. Recently, 100 other people demanded to come to the entity. An official at the Jewish Agency said that the members of this group hold documents that confirm their Jewish origin, adding that the agency has already approved their arrival but the Israeli Interior Ministry has required additional "complementary" measures. The new group may come to the occupied territories very soon, after the completion of the procedures. Turkish Foreign Minister Ahmet Davutoglu called on the international community to "put an end to the suffering of the Palestinians in the occupied territories," and to pressure "Israel "to respect the human dignity. Davutoglu pointed out, during his visit to Geneva on February 25 to participate in the High Level Segment of the 22nd Session of the UN Human Rights Council, to Palestinian suffering under Israeli occupation saying: "This has been a bleeding wound in the conscience of all humanity ever since the United Nations was founded. The occupying power today, regards itself as being above all international human rights and human rights law, basically harming the Palestinians in three ways: land, people and dignity." The Turkish Foreign Minister condemned the Israeli inhuman siege on the Gaza strip that violates all international standards. He called on the Israeli government to stop all forms of settlement policies on the Palestinian territories, strongly condemning the Israeli settlement projects. "The State of Palestine must take its rightful place under the sun," said Foreign Minister. Beit Safafa. An incident or a phenomenon? Are residents of Arab neighborhood expected to go without medical care due to their place of residence? Natali Seculife, a medical and emergency services company refused to send a physician for a house-call in Beit Safafa, a resident of Jerusalem's Arab neighborhood said. A call center representative told the resident that a company doctor will not visit an "Arab area." The incident occurred a week ago, when Sonia Alias, a resident of Beit Safafa, called the service and asked for a house-call for her feverish husband. The Natali call-center's representative took Alias' credit card information and told her a doctor will arrive shortly. After 30 minutes Alias was called by an Arabic speaking representative and asked for an exact address. According to her, after receiving the address he said: "I'll tell you the truth. The doctor here will not agree to go to an Arab area." She said the representative suggested she drive her husband to receive the needed care. "I explained that this isn't a dangerous neighborhood, I told him that I'll meet them and take them to my home. "He suggested I take my husband to a nearby doctor but I explained that he's feverish, very weak and can't stand on his feet. He said that they'll check and get back to me." The representative called Alias after an hour and then claimed the doctor has a lot of patients and the wait for the house-call will be longer than three hours. The couple did not give up. "I told the representative that I'm willing to wait," Alias said. "I said I really want him to come, but the call ended and I didn't hear back from them until the following morning." Waiting, she was distressed: "I was afraid my husband had swine flu and I was helpless. It's a man's life. Just because we live in an Arab neighborhood he doesn't deserve care? He deserves to die? I called for a doctor, not a car-towing service. This is contempt for human life. It was hurtful, insulting and jarring." The next day Alias received a call from a representative. According to her, "she said that she's very sorry a doctor wasn't sent and asked if I'm still interested in a house-call. "It drove me mad; I scolded her and gave up the service." Natali clarified it was a one-time incident: "An inquiry revealed that the representative who took care of Mrs. Alias' call was operating on his own initiative and not according to the company's guidelines. "We'll study the incident and draw the necessary conclusions." It was further stated: "The company provides medical service to hundreds of thousands of clients equally, regardless of religion, race or gender, and is one of the only companies which provides this service to the Arab neighborhoods in Jerusalem." The US President Barack Obama is expected to discuss Iran’s attempts to gain nuclear weapons, the ongoing crisis in Syria, and the stalled peace process between Israelis and Palestinians during his upcoming visit to the region. The White House wants to keep expectations for broad accomplishments low, especially when it comes to the possibility of reviving the Israeli-Palestinian peace process. Spokesman Jay Carney has stated that the goal of this visit is not to restart discussions over specific proposals, which have been stalled for the past two years. The New York Times quoted the possibility of a “mini-summit” with Obama, Netanyahu and Palestinian President Mahmoud Abbas during Obama’s visit. According to Palestinian official news source WAFA, Obama will suggest to Israeli Premier Benjamin Netanyahu an intensifying of pressures on Iran in exchange for negotiations with Palestinians, said Israeli daily newspaper, Maarif, on Sunday, 10 February. The Israeli paper that reported from the British daily, The Sunday Times, said Obama will arrive with “a carrot and a stick” policy in an attempt to persuade Israelis to negotiate with Palestinians regarding borders and security issues. 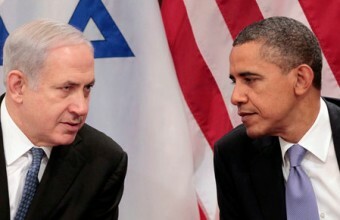 Israeli newspaper Ynet also reported that the main objective of President Obama’s visit is for the US to convey the message that Israel should not attack Iran militarily in the coming months. Instead, the US will attempt to convince Israel to continue with diplomatic and peaceful attempts at stopping Iran from gaining nuclear weapons. The International Atomic Energy Agency (IAEA) has stated that Iran has likely resumed the process of converting uranium into nuclear fuel. The IAEA will produce a full report on these developments at the end of the month. Former Foreign Minister says Yair Lapid to be offered Finance Ministry and welcomes Tzipi Livni as a potential coalition member. Former Foreign Minister MK Avigdor Lieberman said in an interview with Channel 2 on Saturday that Israel will agree to peace negotiations "any given time and at any place without preconditions." Lieberman added, however, that a comprehensive peace deal with the Palestinians is impossible. "The conflict must be managed," he said, adding that a long-term intermediate agreement should be negotiated. "The ball is in Abu Mazen's court," he said, referring to Palestinian President Mahmoud Abbas. Lieberman also responded to reports that Yesh Atid chairman Yair Lapid is interested in being appointed as Israel's next foreign minister. "Prime Minister Benjamin Netanyahu will be in charge of the Foreign Ministry until the legal procedures (in Lieberman's case) are concluded," he said. Referring to Lapid's election slogan, "where is the money?" Lieberman said that "whoever is asking where the money is should go after the money, the money is in the Finance Ministry, not in the Foreign Ministry." When asked about his trial, scheduled to begin on Sunday, February 17, Lieberman only voiced confidence he would be acquitted, refusing to repeat a promise he has made in the past - not to serve in the cabinet in case he is convicted, even if the court does not attach turpitude ruling to his sentence. 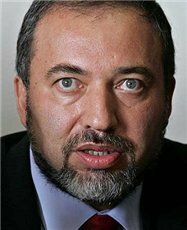 Lieberman was indicted last December on charges of fraud and breach of trust for his alleged involvement in the appointment of Ze'ev Ben Aryeh as Israel's ambassador to Latvia after the latter informed the former minister of confidential information concerning an investigation against Lieberman. During the interview, Lieberman accused his former deputy at the Foreign Ministry, Danny Ayalon, who was not included in the party's ticket in the recent election, of dishonesty. Lieberman said Ayalon only turned against him after Lieberman, head of Yisrael Beiteinu party, informed him he is not running in the election. "Danny Ayalon talked highly of me, and a day after [I dismissed him] everything changed. I haven't heard from him since, only from police investigators." Lieberman said that the fact Ayalon changed his mind "proves my decision was right." After he was ousted from the Knesset list it was reported that Ayalon gave the police information concerning Lieberman's case. According to reports, Ayalon's testimony further complicated Lieberman’s situation. 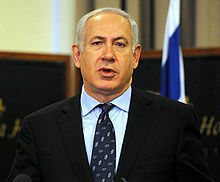 In a Televised speech he delivered, Saturday evening, after being officially tasked with forming the new Israeli government, Israeli Prime Minister, Benjamin Netanyahu, stated that his coming government will have two main priorities; preventing Iran from obtaining nuclear weapons, and negotiating Palestinian President Mahmoud Abbas (Abu Mazin). On Saturday evening, Israeli President, Shimon Peres, officially asked Netanyahu to form a new government following Netanyahu’s victory in the latest election. In his speech, Netanyahu called on Abu Mazin to return to the negotiation table, and claimed that his government “is committed to reaching a settlement to the conflict”. He said that his government will be actively involved in what he called “the international efforts aimed at preventing Tehran from becoming a nuclear power”. He also vowed to act on creating new employment opportunities, and to act on guaranteeing economic growth in the country. Netanyahu added that “Israel is facing serious challenges, internally and externally”, and called on all Israeli political parties to join his government coalition. As for the Palestinian file, Netanyahu said that he wants to hold negotiations with Abu Mazin, and urged him to return to the negotiation table “without preconditions”. Israeli-Palestinian peace talks have been stalled since 2010 after a 9-month freeze on settlement construction and expansion activities ended, and Israel resumed the construction in the occupied territories on a large scale. Israel said claims that the Palestinian demands are “preconditions”, and the Netanyahu government explicitly said it will build and expand Jewish settlements in the occupied West Bank, including in occupied East Jerusalem. Settlements violate International Law and the Fourth Geneva convention, to which Israel is a signatory.